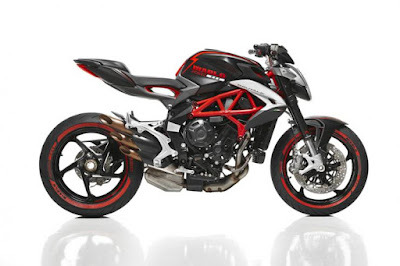 MV Agusta and Pirelli are two renowned Italian automotive brands that have been working together for several decades, and even since 2011 the historic motorcycle manufacturer has relied only on Pirelli tires to equip its models. Thanks to the good and long partnership, then the MV Agusta and Pirelli decided to celebrate by making a new show bike named 'Pirelli MV Agusta Diablo Brutale' that combines the maximum sporty performance and special innovation for the lovers of two-wheeled vehicles in the world. 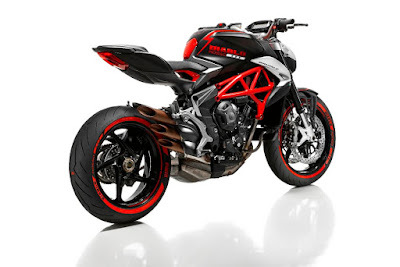 In this case, Pirelli provides the tires with the latest technology named Diablo Rosso III which is the supersport tires specially made for the latest MV Agusta Brutale 800 motorcycles. The motorcycle is painted in matt black color with sharp red detailing, a Diablo Rosso III logo on the tank, and a special red sidewall graphics on the tires. This bike uses a three-cylinder, DOHC, 12 valve, 4-stroke engine with a capacity of 798 cc. The power generated by the engine reaches up to 116 bhp at 11,500 rpm and 83 nm at 7,600 rpm, then the power channeled to the rear wheels via chain and combined with six-speed manual transmission system. Many modern features installed on the motorcycle included the MVICS (Motor & Vehicle Integrated Control System) technology, 8 levels traction control system. 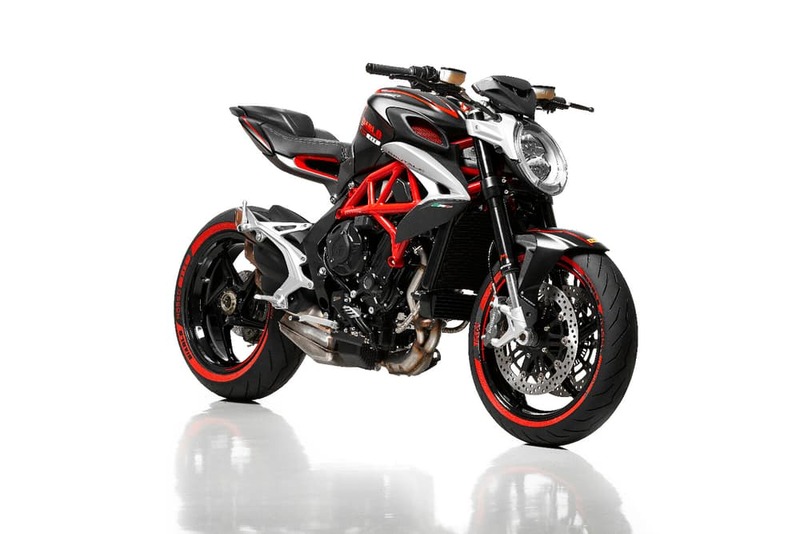 Motorcycle uses composite steel trellis and aluminium plate frame for high torsional rigidity and also made the motorcycle is lightweight. But unfortunately there is still no info on the pricing of the Pirelli Diablo Rosso III tires. But, the ABS version of MV Agusta Brutale 800 priced at $13,498 or around Rp.179 million.